Last August's spate of wildfires that clouded the air over a vast part of the state is only a taste of what's to come in Oregon due to climate change, according to the newly released Fourth Oregon Climate Assessment. 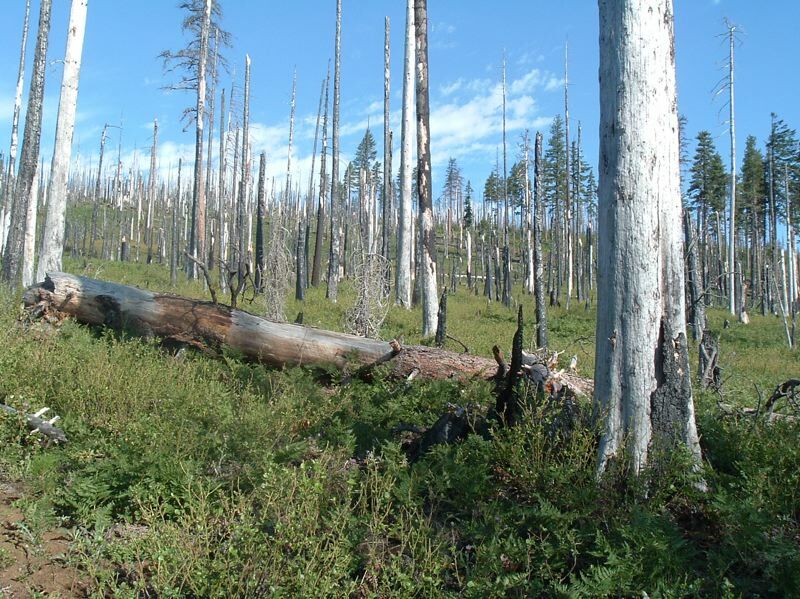 Scientists found that Oregon is already experiencing significant impacts from climate change, including warmer temperatures, increased forest fires and a shift in seasons resulting in lower snowpack and summer stream flows. The report was released January 31 by the Oregon Climate Change Research Institute at Oregon State University. "Simply put, the state's biggest fire years occur when summers are unusually warm and dry," said Philip Mote, former director of the institute and a report co-author, in a news release accompanying the report's release. "Since warm and dry summers are occurring more frequently, we can expect the fire danger to increase as well," Mote stated. "At the same time, our hydrology is changing — starting with shrinking snowpack, which in many basins poses a dual threat of increasing flood risk in the winter and resulting in lower soil moisture and stream flows in the summer." Not all the impacts will be perceived as negative. Farmers and home gardeners are experiencing a longer growing season. "Our projections suggest the growing season will lengthen most in the Willamette Valley, by as much as two months," Mote said. "Water availability may still be a concern for some crops, and weeds thrive with higher carbon dioxide levels, but spring is definitely beginning earlier and fall is lasting longer." Scientists now project that if humankind doesn't take dramatic steps to reduce greenhouse gas emissions, sea levels will rise as much as 8.2 feet by the end of this century, imperiling many of Oregon's coastal communities. Researchers project Oregon will warm by 4 to 9 degrees Fahrenheit by 2100, depending on the trajectory of future global emissions. Annual precipitation is now expected to change significantly, but more of it will fall as rain instead of snow. Heavy rainfall at times is expected to cause more landslides, transportation closures and slope instability. Oregon is protected to have 30 additional days per year hotter than 86 degrees by mid-century. "Perhaps the biggest concern is that our rural and tribal communities —those that are economically disadvantaged and heavily dependent on natural resources — are the ones most vulnerable to the changes that are under way," reported Kathie Dello, associate director of the Oregon Climate Change Research Institute, in the press release. "One of the most obvious impacts of climate change has been the surge in fires — even in normally wet forests, like the Eagle Creek fire in 2017," Dello said. "The disruptions to local economic activity from fires have become almost routine and regional air quality has suffered, leading to respiratory ailments." Policy decisions and actions by business, governments and individuals being taken now will affect how much ice will melt in Greenland and Antarctica over the next several thousand years, scientists reported.